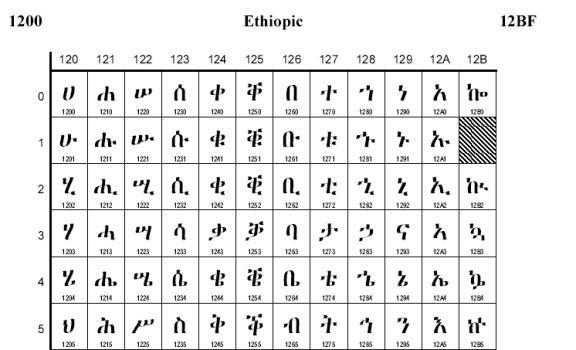 Last year I posted on whether Unicode and internationalization (i18n) is included in any computer science curriculum in Africa. A recent comment to that post by Andre Schappo asking whether there are any organizations in Africa promoting internationalization of university curricula more generally offers another angle to approach this issue. Andre's question follows a post on his blog about two organizations that promote internationalization of teaching curricula, one in the UK and the other in Australia. Depending on how one defines promotion of internationalization in higher education, one might add many other initiatives and consortia which seek in one way or another to develop and support international or global studies. The degree to which such efforts overlap with or might impact the content of computer science courses is an interesting question. In my limited experience, international/global studies mainly addresses disciplines in other areas (social sciences, humanities, certain applied disciplines). It certainly is worth asking how a program of internationalization at a university would apply to computer science and see how the discussion goes. However, in the case of Africa - and also Asia - internationalization of the computer science curriculum would seem to follow as much from attention to localization as to international and global perspectives. 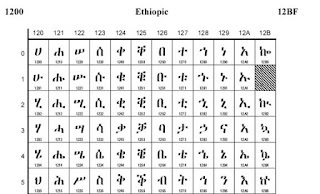 In any event, this issue of how Unicode and i18n figure in computer science instruction - worldwide as well as in Africa - is one that is important for technical and language planning reasons as well as for the same reasons that motivate attention to internationalization in the higher education generally. My focus is internationalisation of the computer science curriculum which I consider to be quite straightforward. It is simply to teach and encourage students to build software for the world. There are a number of concepts and technologies students need to understand in order to build software for the world. These include:- software/website/app internationalization & localization, character sets/encodings, Unicode, fonts, keyboard mappings, input methods, language tags, internationalized domain names (IDNs) and human language characteristics. The software localized implementation needs to encompass language and Culture. Cultural considerations include date format, currency, news, music, fashion, foods, weather ...and much much more. These considerations impact on the design, architecture and implementation of, for example, a website and it's supporting database. Primarily, computer science students should graduate with not only the above technical skills but also an appreciation of cultural differences. Having some such appreciation will, in my opinion, lead to better world encompassing software. International Literacy Day: Let them write!